After invasion and annexation of Crimea from Ukraine and forcing the region to join into Russian lands, Russian President Vladimir Putin’s ambitions were nowhere to stop at the borders of the rest of an internationally recognized sovereign state, Ukraine. 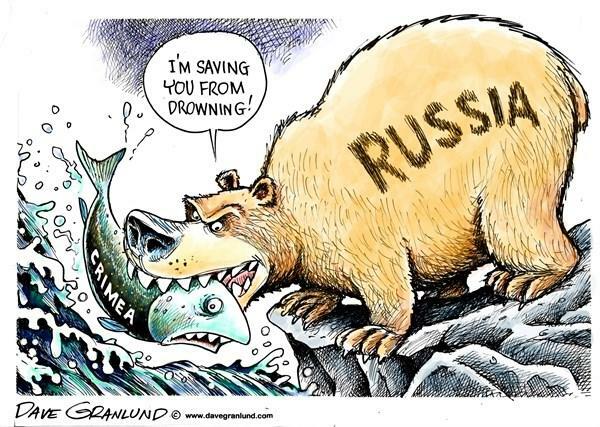 Any realist would deduce from the earlier Russian aggression that it would not stop with Crimea only. Nor would the humanitarian aid supplied by Moscow be for the bettering of anything on the Ukranian side. After the popularly supported street protests reached a peak in Kiev’s famous Euromaidan protests, Yanukovich had to step down and due to the upheaval in the country, Russian forces in Crimea had intervened and “secured” the peninsula. It was obvious that the “security” ambitions would not stop at the borders of the newly annexed region, Crimea and would spread to other prosperous/productive regions of Ukraine. In several districts and cities there had been pro-Russian uprisings demanding the same fate as Crimea did. Even though what happened in the part of formerly Ukranian peninsula is against the international laws and there was a Budapest memorandum to guarantee the integrity of Ukranian lands, this action carried out with only economic sanctions that did not stop Russian aggression. European far right’s involvement was observed on both sides of the conflict; one “occidentalist” fraction supporting Ukraine’s future in the EU in a Brussels-focused atmosphere, and a “Duginist” or better “Eurasianist” bloc supporting Russian take-over of whole of Ukraine and spreading of the ideology to other parts of Europe. After days of deployment of Russian military tools into Ukraine in humanitarian aid trucks, eventually the invasion began with APCs and helicopters according to witnesses and confirmations from ground-based journalists. 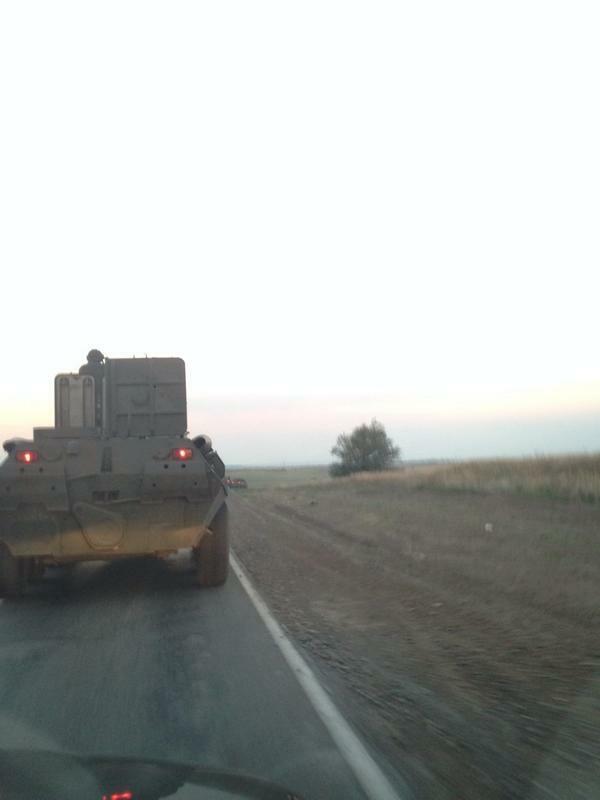 According to reports, invasion began from the East, namely the pro-Russian Luhansk. So far comments from several Ukranians have been “we can’t wait for the morning to see the depth of worries from the EU authorities” referring to the softness of EU reaction to Russian aggression and the loss of lives in Ukraine since clashes began. On the other hand, Russian Ministry of Foreign Affairs has demanded an end to combat and declaration of ceasefire to deploy further humanitarian aid which is being brought by convoys of hundreds of military trucks. Moreover, Russian Authorities also clarify that they are ready to trade with anyone that is ready to cooperate with Russia. 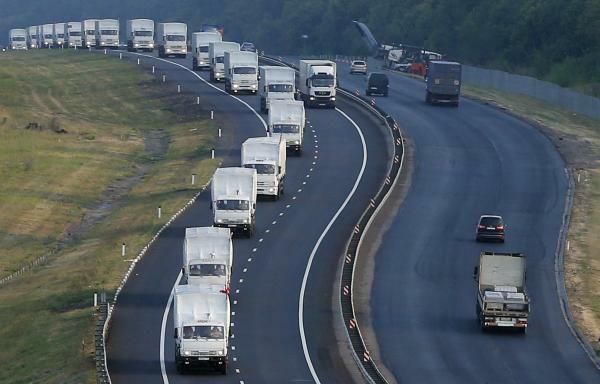 According to Russian authorities, these convoys contain power generators, foodstuffs, water, baby’s food, medical supplies and sleeping bags… However Ukrainians suspect of military equipment which is being deployed into their country, after the unlawful annexation of part of their country. Even though after a few hours of troop deployment it stopped, no one can be sure whether this will be the trend in the coming days or not. Or whether Russian military has been testing Western reaction to an all-out-invasion of Ukraine. This entry was posted in Europe, Far Right, Protests and tagged crimea, invasion, kiev, russia, russia invades, ukraine. Bookmark the permalink.